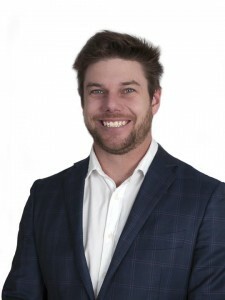 Ben gained his Bachelor of Laws from University of Queensland and since graduation has obtained a Graduate Certificate in Applied Law (Family Law), a Graduate Diploma in Applied Law (Family Law), and a Masters of Applied Law (Family Law). In late 2015 Ben was recognised as a Leading Family Lawyer in the Toowoomba and Darling Downs region by the independently administered Doyle’s Guide review. It was also around this time that he was named a Queensland Law Society Accredited Family Law Specialist. Ben is a member of the Family Law Council of Australia and the Family Law Practitioners Association to whom he offers commentaries on ever changing case law. He fulfils the role of the Family Law Representative on the committee of the Downs and South West Law Association. Ben has a longstanding association with Toowoomba, having completed his schooling in the town. He is passionate about the region and his clients. Ben’s commitment to combining both specialised family law advice and superb service is unmatched. He ensures he is available to his clients, and is effectively responsive to their needs. Louise specialises in all aspects of family law including parenting and property settlement matters. She commenced work in the legal profession in 2002 and has been exclusively working in the area of Family Law since 2005. Louise strives to provide high quality legal advice to clients to ensure that each and every client feels supported throughout their journey. Relationship breakdowns are never easy and it is important for anyone experiencing the difficulties that come with separation, to have the assurance that their legal representative is on their side and will do what they can to encourage a timely and cost effective resolution. Louise identifies the importance of working alongside other professionals such as Accountants, Financial Planners and Counsellors, in order to ensure clients receive support and advice in all aspects of their separation, so they can feel empowered to make informed decisions. 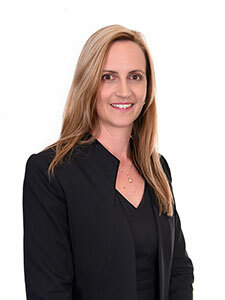 Louise is admitted as a Solicitor in the Supreme Court of Queensland and is registered on the High Court of Australia Register of Practitioners. Louise is also a member of the Queensland Law Society and the Family Law Practitioners Association. Ashlee grew up in New South Wales, her family moved to Queensland in 2008 and she completed the rest of her schooling at Our Lady of the Southern Cross College in Dalby. After graduating in 2010, Ashlee began working in the legal industry, after three (3) years of working the industry, she developed her passion for the area of Family Law and shortly after began studying a Bachelor of Law to pursue her dream of becoming a Family Lawyer. Ashlee continues to study after work hours to finalise her law degree. 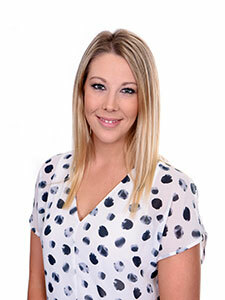 During Ashlee’s time in the legal industry she has completed a Certificate of Family Law. Ashlee enjoys keeping fit, riding dirt bikes and spending time with her Golden Retriever, Lewis. Courtney grew up in a small town in South West Queensland and her family made the move to Toowoomba in 2003 so that she could complete her senior years at Downlands College. 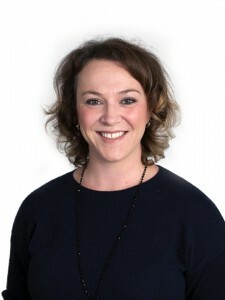 Since graduating from Downlands College in 2004, Courtney has worked in the legal industry as a Conveyancing Clerk and, for the last six (6) years, as a Family Law Paralegal. During that time, Courtney has completed a Certificate III in Business Specialising in Legal Administration. Courtney and her husband, Dan, are local café owners and are passionate about good food, even better coffee and friendly service. Courtney enjoys keeping fit and is often out running with her husband and her dog, Bear. Courtney also enjoys theatre and has participated in a number of local Empire Theatre productions over the years. Courtney’s true passion however is travel and she will take any opportunity to visit new places (and even return to her favourite cities) around the world. 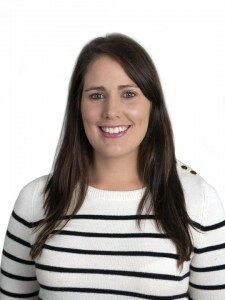 Stacey is a Toowoomba local who completed her primary and secondary schooling in the region. Since the conclusion of her schooling, Stacey has chosen her career path so as to keep strong ties with the events of the region and she played a significant role during her time at the Toowoomba Regional Council in the award winning Carnival of Flowers and Toowoomba Food And Wine Festival events prior to taking a position at O’Neill Family Law. Her extensive event management experience prepared her suitably for the role of the Practice Manager at O’Neill Family Law which is a role that sees her responsible for the day to day running of the firm, human resources and accounts. Outside of O’Neill Family Law, Stacey continues to work after hours towards the finalisation of her law degree at the University of Southern Queensland. Outside of work, Stacey enjoys playing tennis socially and gardening. Stacey has a love for animals and enjoys exercising her two German Shepherd dogs wherever time permits.